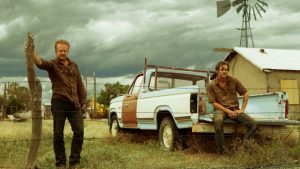 Hell or High Water, a B movie western to savour. One of the reasons that film makers enjoy making genre films is that it allows them to use the pre-existing structure as a means of commenting surreptitiously on the present. Instead of asking the audience to sit through a social issues film with all that that implies, they get to see a western or a sci-fi film. And the themes that the film makers are really interested in are slipped in via the back door. Hell and High Water is the ninth film directed by Scottish film maker David Mackenzie and is effectively a B movie western set in modern day Texas. A couple of brothers embark on a spate of low-end bank robberies and are pursued by the grizzled sheriff and his weary sidekick. Chris Pine and Ben Foster. The brothers are played by Chris Pine and Ben Foster, with the former as the sensible, strong but silent one who calls in desperation on the help of his loose cannon of a brother, who’s just got out of gaol, to help him with the plan that he’s hatched. 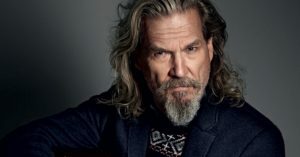 Whilst Jeff Bridges, as the sheriff, gives us a gleefully prickly curmudgeon, who particularly enjoys the racial points he scores at the expense of his long-suffering sidekick, the stoic Gil Birmingham. What elevates the film, at least for the first hour or so, is the script. Written by Taylor Sheridan, it’s based on an original story by Nick Cave and Warren Ellis, and their haunting score is the first thing that gives the film an added sheen. And most of all, the script produces a series of deft one liners that are delivered with the kind of insouciance perfectly in keeping with the very Texan feel of the film. Inevitably, once things turn violent the film has to take sides, and that moral ambivalence is sacrificed. But for the first hour or so, it’s all impressively dark and surprisingly nuanced. And even after that, the performances are so strong that you find yourself happily going along for the ride. It’s the sort of film that Sam Fuller or Fritz Lang used to produce when the studio that had hired them weren’t really paying attention. A classic B movie then, but a classic all the same. 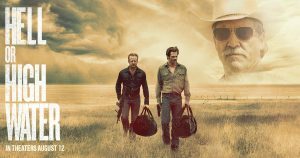 You can see the trailer for Hell or High Water here. 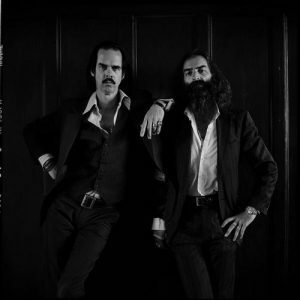 And there’s a moody video for the Cave Ellis track Comancheria here. 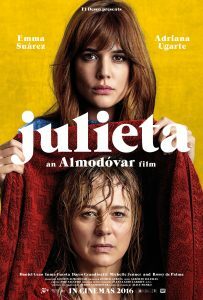 “Julieta” a return to form for Almodovar. After the dizzy heights of All About My Mother in 1999, the films of Pedro Almodóvar hit something of a plateau. The next four were all just a little too convoluted, while the two most recent, The Skin I Live In (reviewed earlier here) and I’m So Excited were, for all their surface glitz and glamour, just plain poor. So his latest offering, Julieta, comes as a huge relief. We first meet Julieta as a middle aged mother who has been catastrophically estranged from her only daughter. And for the first two thirds of the film, we discover in an extended flashback what it was that caused the breech between them as we delve into Julieta’s past. And then in the film’s final third, we return to Julieta as she is today, alone and abandoned and drowning in guilt. The film is based on three short stories by Alice Monroe, who is far from an obvious fit for the exuberant Spaniard. 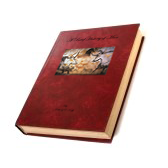 Like the other great short story writer of our age, William Trevor, Monroe’s characters lead apparently drab and so say ordinary lives, in which small gestures speak volumes, and many of the conflicts that haunt their lives remain unresolved. 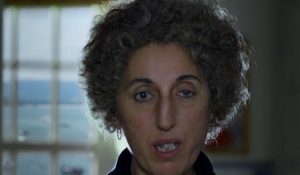 Almodovar stalwart Rossy De Palma channelling Mrs. Danvers. Almodóvar on the other hand is the modern day master of the 50s melodrama, and it’s hard to reference any of his best films without sighting Douglas Sirk or Alfred Hitchcock. So like them, he too likes to propel his narratives with broad, brushstrokes that produce an outpouring of emotion, which he brings to fruition thanks to his exuberant, cinematic expressionism. So there is a slight sense of incongruity about the way he tells this story, and the kind of stories he has used to source the film. That Obscure Object of Desire. 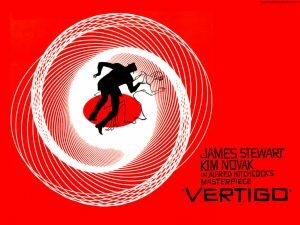 Furthermore, in yet another nod to Vertigo and, more obviously, Buñuel’s That Obscure Object Of Desire, he has cast two different actresses in the title role, with Emma Suárez playing the older Julieta, and Adriana Ugarte playing her as the younger woman. Which further adds to our sense of distanciation, as you occasionally find yourself thinking of the older and younger actresses as representing the mother and daughter relationship. And you have to remind yourself that the actual mother and daughter in question are the character of Julieta and her daughter. All of which was very much a conscious decision on the part of Almodóvar. He was trying, if you like, to make a stripped down Almodóvar film. One in which the emotional highs and lows you normally associate with his films have been reigned in. What you think of the resulting film will largely depend on what you think of that decision. It’s still, for all its relative restraint, a wonderfully engaging film on an emotional level. It’s just not quite as emotionally explosive as you might have hoped for, especially given the story it tells. But I quibble. To all extents and purposes, this is a welcome return to form for one of Europe’s most talented film makers. And you can see the trailer for Julieta here.